"The Kitchen's The Place To Be"
Meet Jenifer – an amazing participant on one of our Cooking For Life courses. Jenifer came across us as a service user of drug and alcohol support charity Cranstoun. 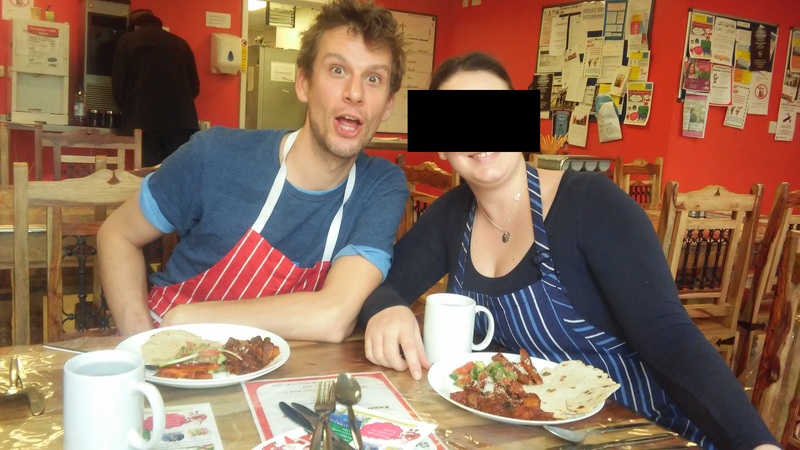 She joined us for a cookery course way back in 2016 but we called her up at the end of 2017 to see what the long term impact of our programme had been and had this amazing conversation with her. MIH: What made you sign up for our course? Jenifer: I was on Cranstoun’s abstinence programme and it was offered to us as part of that. I’ve had mental health issues for as long as I can remember. I’m on antidepressants. I also suffer from alcoholism which started about 5 or 6 years ago after the birth of my second daughter which was very traumatic. And I had to get away from and recover from domestic violence. MIH: How did you find the course? Jenifer: The time I spent in the kitchen was a nice break from recovery. I really like to cook and it was just something different - it wasn't just talking about how crap I am and I was able to focus on something that wasn't alcohol or drugs…I would just have to follow instructions. We would get a menu, we’d start it, then there’s the middle bit of ‘oh crap I'm doing it wrong’ (laughs) and then you get an end result. There were lots of different types of people on the course. People not long out of prison, higher society, famous and rich. I have a problem getting along with women sometimes. But when we were kneading bread together and throwing flour at each other it was just easy. We were concentrating on something else. We were bonding. It made for a beautiful, lovely and much easier group meeting when we went to our sessions and had to talk about the gritty stuff. It made it easier. MIH: Would you recommend the course for someone in recovery? Jenifer: Yes. There was so much camaraderie. I highly recommend it. Even though it was in a recovery centre it was like we could just have a laugh and do something normal and make friends. It wasn’t so much about the cooking. I was treated normal. I wasn't scared. Both the teacher and the volunteer assistant were absolutely fantastic. It was so fun. MIH: Did it positively impact your life in any way? Jenifer: I have a BRCA2 gene alteration which is what stops cancer. My mother is having a double mastectomy and both tubes removed soon because she has the same thing, although she doesn't have cancer. I Just had an MRI and they’ve advised me to look at my diet as a preventative thing. Before the course I didn’t know about all the good foods that are available. It was an eye opener with the classes. I can eat what I want and still feel good. The less crappy stuff I have in my body, the less chance I’ll have of cancer happening. I will have to have surgery but if I can put it off a year at a time with MRI and food then I will. I was told to eat no red meat, to stay off dairy and eat as many raw fresh veg as I can. He also said to drink lots of water. What was so great about the course was it didn’t just tell me to eat healthy, it showed me how. There is so much trash if you look it up on the internet. You can be there for hours. Speaking to an actual person who actually cooks and does it well, it was an eye opener. It meant that it didn't terrify me when the surgeon told me to change my diet, because I knew how to do it because of the course. MIH: So you think doing the course meant you were more realistically able to make the diet changes recommended to you by your cancer consultant? Jenifer: Absolutely. I’d have been lost without it. I’ve had firsthand experience that this type of food is tasty so I’d be stupid not to follow their advice. The course also gave me back my confidence in the kitchen. When I was drinking all I ate was ready meals. But years ago I used to cook from scratch and make huge meals all the time. It made me realise I can do it. Plus the recipes we were doing in the class were all new to me. I didn’t know you could do that sort of thing with those ingredients. The cheese on the pizza which wasn't actually cheese was brilliant. I use less salt now and get the sea salt instead. And I now know how to eat less meat. I craved meat but the recipes gave me tasty alternatives – and it’s cheaper. MIH: What does the future hold for you? Jenifer: I’ve moved out of a hostel and into my own place so now I’ve started cooking again with fresh ingredients all the time. Celery goes in everything! It lifts everything…I’m just going to work so hard. The kitchen’s the best place to be. I had a friend who was also at Cranstoun. I told her about what the teacher had been using in the class instead of sugar, and she has since set up a brownie business using xylitol and sugar replacers. So who knows what the future holds.